Yesterday evening, a new member of congress from Minnesota named Ilhan Omar tweeted a clearly anti-Semitic trope about Jews controlling the US congress with their money (see screenshot below). The condemnation of her tweet, and even worse follow up tweets, by her fellow house members started off as a slow trickle. Ultimately, lead by two members of the New York State delegation, both of whom happen to be Jewish, Republican Lee Zeldin and Democrat Max Rose, the condemnation poured in. By early this afternoon at least 23 members of congress including the entire Democratic party leadership, had come out with statements condemning her statements. 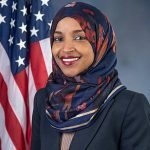 Congresswoman Omar’s apology has of now not been accepted by any prominent members of the American Jewish community. Her apology comes as she continues to attack the Jewish/Israel lobby in inappropriate ways. 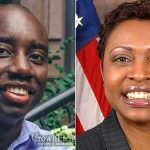 I personally called the Brooklyn office of congresswoman Yvette Clarke who represents Crown Heights, her district is one of the ten largest Jewish districts in the entire USA. I was directed me to her Washington office, which gave me the email address of her communications director. I emailed the director asking for comment making it clear that I have a deadline of 5:00pm. Well that deadline has come and gone, and sadly it seems like our representative has once again let us down. This was an easy opportunity for her to be on the correct side of a growing issue. She would not face any push back, it was a win-win for her and even this she couldn’t get a handle on. Anti Jews …and abortionists is the Democrat party. But you vote them in office for the crumbs they promise you. Don’t complain Crown Heights … or the Jewish community. You get what you vote for. Id like to know how in Halacha a Jew can ever vote for a Democrat? I am appalled when people refer to them as the democraTIC party. They are the democrat party.. . the additional ic is totally incorrect there is nothing democratic about 98% of their party. I was a registered Democrat as was most of my family and relatives. I wish I could say that I love everything about the Republican party – but it sure is tons better. May we see Moshiach now and this will no longer be an issue. When will Jews start voting? Thank you Yossi. You’ve been killing it with the reporting lately! No wonder Jews are getting attacked in CH every day when Yvette Clarke and other Democrats turn a blind eye to antisemitism. thank you reb yossel for standing up and doing whats right. you are awesome. Spare me please. It’s no secret that AIPAC is a prominent lobby in Washington DC and contributes to both Dem and GOP pols to encourage them to be favorable towards legislature that concerns Israel. You are lying. AIPAC does not make political donations. At all, to anybody. Even adems statement copied from pelosi but stull beats rhe incompetance if clarke can’t wait for chanina to host her. 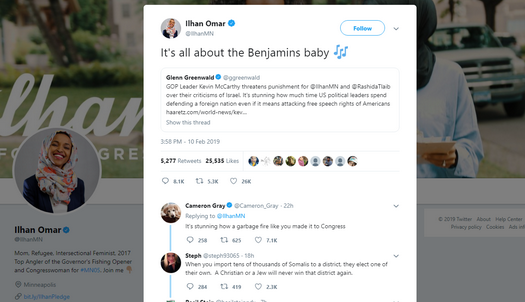 Congresswoman Omar’s tweet implied support for Israel by US political leaders was “All About the Bejamins”. This is a slang phrase taken from a P-Diddy song, “Its All About the Benjamins”, meaning 100 dollar bills with Ben Franklin’s image. Although, criticism of Israel and AIPAC is not per se anti-Semitism, the use of the historical image of Jewish money controlling and bribing the world is. Will Speaker of the House Nancy Pelosi take anti-Israel pro-BDS Congresswoman Omar off of the House Foreign Affairs Committee or is historical stereotypes condemnable only when it comes to “blackface” and not “Jew money” or the “bribing Jew”? (Miscellaneous Note – the Original Lyrics to P Diddy’s “All About the Benjamins” did have the Jew money reference by the verse, “You should do what we do, stack chips like Hebrews”. This verse was later removed and dubbed over when the song became popular. Criticism of this or that Israeli policy or action is not necessarily antisemitism (though it often is). Criticism of Israel’s existence, i.e. anti-zionism, is almost always antisemitism. I can think of exactly three grounds on which to oppose zionism without being antisemitic. One, of course, is the reason we Lubavitchers oppose zionism and the establishment of Israel: we are in golus, and we are forbidden from trying to “redeem” ourselves until Hashem redeems us. Eretz Yisroel belongs to us, but we are forbidden from taking it back from the illegal squatters who occupy it. Obviously this is not antisemitic. It is also possible to oppose zionism because one is an anarchist and opposes all states. If no state should exist, then obviously that includes Israel. Or one may oppose zionism because one is a pacifist, and believes it is always wrong to fight, even in self-defence. Pacifists believe if someone comes to kill you you should hide or run away, and if you can’t then you should let yourself be killed rather than raise a hand against another human being. If so, then obviously Israel’s War of Independence was wrong, just like every war. The thing about all three of these reasons, though, is that they all mean one should oppose the “Palestinian” cause even more than zionism. The Torah definitely says the “Palestinians” have no right to even live in Eretz Yisroel, let alone control it. Anarchists must oppose a “Palestinian” state, and pacifists must oppose any fighting by “Palestinians”, no matter what. I can’t think of a fourth non-antisemitic way to oppose zionism, or of any non-antisemitic way to support a “Palestinian” state. So anyone who does so is an antisemite. those who make light of blackface without understanding the hateful history of minstrel shows and how they were used to dehumanize African-Americans. That is nonsense. Was Al Jolson hateful? Was Stepin Fetchit hateful? Minstrel shows were a legitimate form of comedy in their day, and there was nothing hateful about them. And there is nothing hateful today about dressing up as a black person, any more than there is about dressing up as a white, yellow, red, or even blue person. Those who complain about it and feign outrage at it are just trying to control others and should be shouted down. This is the first time that I have EVER heard a congressional representative or senator refer to our staunchest ally as a “REGIME”. She is an anti-Semite, plain and simple. She must be censured and forced to resign. Why in the world should she care, she does not care about us. Jokes that insult, mock or demean other’s because of their race/religion should be not be immune from criticism of their content, in the name of comedy. As a descendant of Holocaust survivors, I never liked the Anne Frank or pizza oven jokes. I didn’t liked it when the African-American man make a youtube video mocking the infant Lubavitch boy because of his haircut. (He later apologized in crownheights.info ). I didn’t appreciate it when Prince Harry dressed up as Nazi for fun. I didn’t think it was funny when in Europe, soccer fans would throw banana peels at African American players. I didn’t appreciate the “Quenelle” or French Hitler salute, which was an anti-Semitic joke by French comedian and political activist Dieudone M’bala M’Bala, which went viral and was repeated throughout France. So for those who think its ok to wear blackface, think how you would feel if it was ok on Halloween to dress up in Jewface, with a fake beard, fake nose, a fist full of cash and a sign that says, “I control and bribe the world with my Jew money”. Anti-Semitic or racial jokes and historical references of stereotypes are just a step in the direction of creating a more divisive society and creating prejudice towards those certain groups. Although humans have impulses, it is our brain, our conscience, our soul, that governs morality. And it is for the individual to determine what that morality and social conscience should be, and to suggest it to others. And if there be an intelligent reply who suggests blackface or Jewface is to be tolerated, I challenge the commenter to put in his real name and not hide behind a computer screen. Don’t be ridiculous. There is nothing wrong with someone dressing up as a Jew. For you to compare it to dressing up as a hateful caricature from Der Sturmer is beyond dishonest; it is despicable. Nor was there anything wrong with Prince Harry dressing up as a nazi; those who laid into him for it were themselves nazis. If it’s OK to dress as a pirate, or as a notorious murderer, or any other villain, if it’s OK to dress up as Homon or Arafat, then it’s OK to dress as a nazi. Halloween costumes in particular are supposed to be monsters, and what is a more scary monster than a nazi? The nazis were not unique; they were no worse than the communists, for instance. Dressing up as someone does not celebrate them; on the other hand those who wear Che shirts are celebrating him. Do you spend even a fraction of your outrage on that? I doubt it. I doubt you even think to object. That is truly offensive. This is the new democratic party. Perhaps our fellow yidden will “open their eyes to the hypnotism of the radical left”. The article includes J Street as a “pro-Israel group”, and says it was the biggest donor of all the groups looked at. Of course it is anything but. It was established specifically to oppose AIPAC and Israel’s interests, and to help the Democrat Party. It used to falsely claim to be “pro-Israel and pro-peace”, but it officially dropped the “pro-Israel” about five years ago. So to include its giving is just wrong. Dear #10 Milhouse, AIPAC is a registered domestic lobby supported financially by private donations but not by the Israeli government. It’s a bipartisan organization and while it does not raise funds for individual pols, it does raise money for pols through PACs AIPAC helped establish. Sorry Milhouse but a lobby by any other name is still a lobby. AIPAC does not make political donations. Period. Omar lied when she claimed that it does. Her buddy the traitor lied when he claimed it bought the candidate he was working for with a $5000 donation. Yes, AIPAC is a lobby. Of course it is. So what? It’s a good thing, not something to be ashamed of. Lobbying is a vital part of our constitutional system, and explicitly protected by the first amendment. Our government could not function without lobbyists. And honest lobbyists, a category that includes AIPAC, do not bribe anyone. These are the kind of people we need in our community, people like Yossi who give a darn about all of us. Dear #25 Milhouse, Lobbies are a rotten entity in our political system. Far too many pols pay more attention to the lobbies that grease their palms than to the actual needs of their constituents. If it were up to me I’d tar and feather the lobbies then run them out of DC on a rail. I don’t care what you call it–donation, gift, pledge–it’s still a bribe and puts the rest of us at a serious disadvantage as we don’t have the monetary means to influence pols vote. The first amendment does indeed protect lobbies as they have the right to petition the government just like all citizens, however there’s a big difference in petitioning the government to address grievances versus paying off pols to make sure legislation is favorable to your company or cause to the total disregard of everyone else’s needs. “Representative” Clarke is consistent: voting AGAINST us while claiming to be FOR us, never missing a photo op to smile and shake hands. But her actions in Congress speak quite loudly. I have been trying to point this out on COLLive for years! FINALLY the word is getting out, thanks to folks like Yosef Hershkop! Keep up the IMPORTANT WORK, Rabbi Hershkop, and GET THE WORD OUT! Although beauty and offensiveness may be in the eye of the beholder, history, and the anti-Semitic attacks in CH have shown that the nihilist point of view can be dangerous. No no you have been doing this all wrong. You should have asked her for a photo op…and we would get…a photo op. There’s nothing anti-Semitic about saying that AIPAC spends money to influence Congress. That’s their stated purpose! They don’t give money to candidates but they give money to PACs, organize fundraisers, and above all, pay staffers to draft pro-Israel legislation. They raise $100 million a year, the money has to go somewhere!